THIS SHOW IS TURNING 30 BEFORE I AM! That is crazy! For this episode, in which God talks about clothes forever, I’ll be joined by funny person Catie Lazarus, who has a Biblical name and interviews people like Jon Stewart and Arianna Huffington on her show “Employee of the Month.” We will read the Bible and laugh about how silly it is! 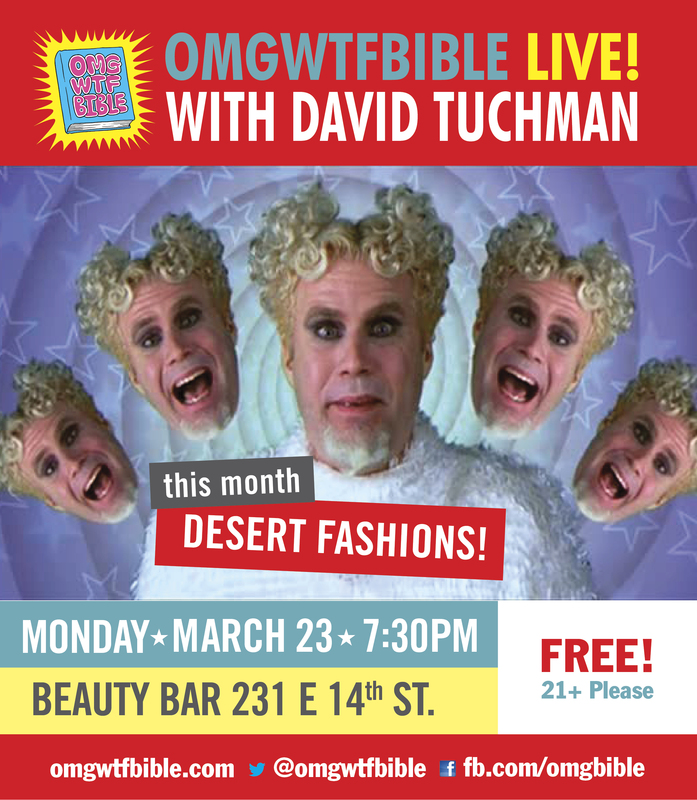 Be sure to wear your favorite Biblical fashions, because I’ll be giving an award to the best-dressed high priest! Check out the Facebook event here! This entry was posted in Announcements, Live Shows and tagged atheism, beauty bar, bible, catie lazarus, comedy, exodus, funny, jew, joke, jokes, judaism, live event, live show, new york, new york city, ny, nyc, omg, omgwtfbible, podcast, priest, religion, stand-up, tanakh, torah, wtf by omgwtfbible. Bookmark the permalink.